A smaller version of the TurboForce (AC160), this hand held brush is built with the same exacting standards, engineering & materials as its big brother. Is invaluable for vacuuming stairs, upholstery & many of the more difficult areas to reach. IMPORTANT NOTE: The suction from the vacuum source is what operates the Rug Rat vacuum head. Damage as a result of overheating and/or melting of the vacuum head mechanisms because of increased operating speeds due to high suction is not covered under product warranty. 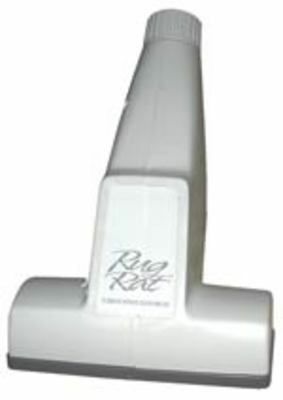 We strongly recommend using the Rug Rat with a Vac Relief (AW54) to allow for vacuum pressure regulation.